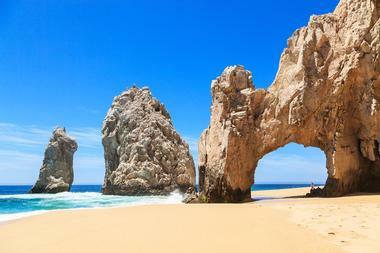 Mexico is a land of culture, natural beauty, and delicious food. The United States' southern neighbor is known for its palm-lined beaches, tasty cuisine, and interesting cultural history that spans millennia. 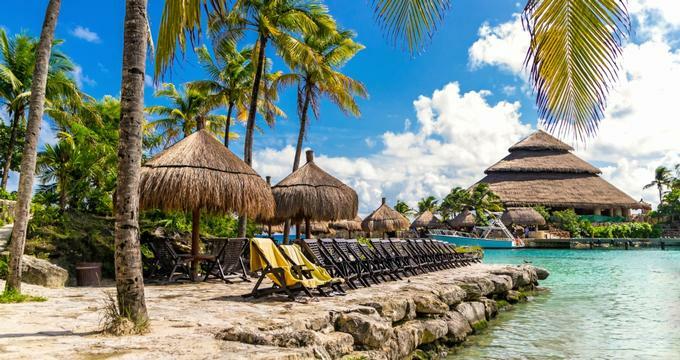 You can spend your days relaxing on the famed beaches of Acapulco, Cozumel, Isla Mujeres, and Playa del Carmen or exploring ancient Mayan and Aztec ruins in Tulum, Chichén Itzá, and Uxmal. 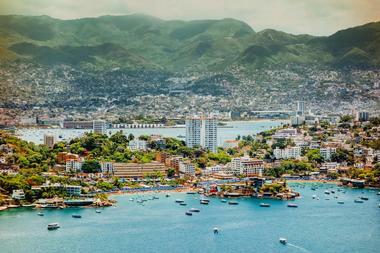 Acapulco is a town on the Pacific coast largely known for its beaches and resorts. 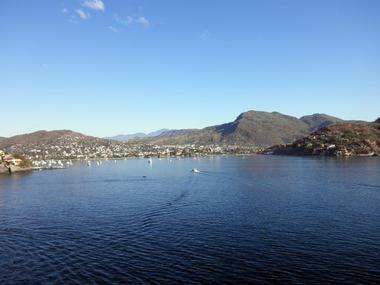 The town is set on a large bay surrounded by high-rise resorts and residences, with the Sierra Madre del Sur mountains forming a beautiful backdrop. The area was popularized as a destination by the well heeled in the 50s and 60s, however still remains popular today. Visitors come to enjoy the raucous nightlife, relax in the sun on the gorgeous beaches, and explore the mountains. If you are interested in checking out a unique attraction, twice-daily cliff divers dive into a small cove from 40 meters high at Acapulco's well-known La Quebrada cliff. Chichen Itza is complex of ruins from a pre-Mexican settlement on the Yucatan Peninsula. 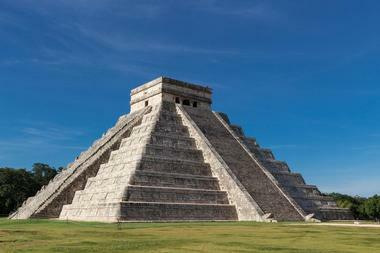 The centerpiece of the ancient complex is a huge step pyramid named El Castillo, or the Temple of Kukulcan. A number of interesting carvings, temples, and other ruins also shed a bit of light onto what life might have been like for them. 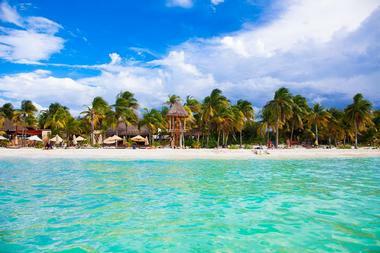 The site is fairly easy to access from both Cancun and Playa del Carmen. While it is fantastic to look at, the crowds can be a bit difficult to handle, especially during the high seasons. Getting there early is a good way to enjoy the sights, with less of a crowd. While climbing the pyramid was once a popular activity, it is no longer permitted in an effort to preserve this historically significant site. Ensenada is a city along Mexico's coast in Baja California, an area known for its calm seas and beautiful beaches. It is also close enough to San Diego to provide relatively easy access for Californians who hop across the border. Inland there are mountains, national parks, and La Bufadora, which is an impressive geyser. You will also find Guadalupe Island nearby, which offers the greatest chance of any place in the world to see great white sharks in the wild. Other wildlife experiences are possible, including the possibility to see magnificent colonies of elephant seals on migration and some of the thousands of grey whales that pass through the area on their way south. Guanajuato is a city located in central Mexico. It is a destination known for its colonial architecture and has a history as a silver mining town. The city features small networks of tunnels, incredibly narrow streets, and alleyways, such as the famed Callejon del Beso, which means "Alley of the Kiss." It was so named because the balconies of opposing buildings are so close that a couple could lean across and kiss. There are a number of nice museums in the city, including the Museo Casa Diego Rivera, which was the former home of artist Diego Rivera, the Alhondiga de Granaditas, which is an art and history museum, and the Museo de las Momias de Guanajuato, which is an odd but well-known museum that has more than a hundred mummies on display. 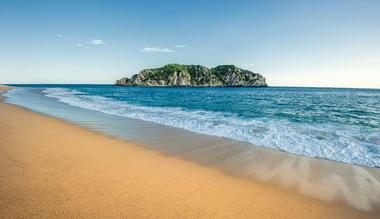 Huatulco is a region on Mexico's Pacific Coast. 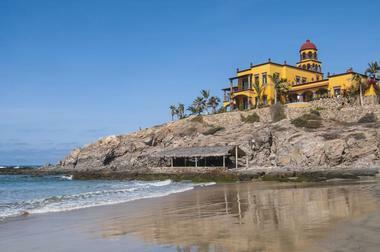 It is a part of the state of Oaxaca and is known for its resorts and white sand beaches. The most popular part of the region is the cruise port named Santa Cruz Bay, but Huatulco is also made up of eight other bays that are beautiful vacation destinations. The nine bays are collectively known as Bays National Park. The well heeled tend to concentrate their visits on Tangolunda Bay, which has a number of upscale hotels and a popular golf course. Some of the most popular activities in the area include diving the offshore reefs, sport fishing, diving, and horseback riding. Isla Mujeres is an island off the coast of Mexico in the Caribbean Sea near Cancun. The island is known for its beautiful beaches and stunning resort hotels and is destination for scuba diving and snorkeling due to the abundance of coral reefs. The island's southern tip is home to a lighthouse as well as Mayan remains and a sea turtle rehabilitation center and sanctuary. 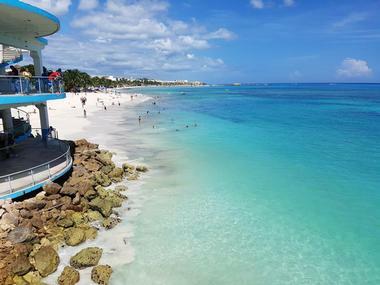 Some of the must-dos on Isla Mujeres include snorkeling or diving the El Farito reef, touring the Isla County National Park, swimming with whale sharks or dolphins, ziplining, and checking out the underwater sculptures in the area near the Manchones Reef. 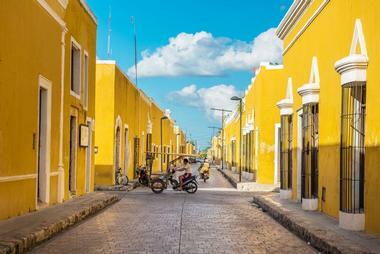 Izamal is a small, charming city in the state of Yucatan known as the city of the "Three Cultures." 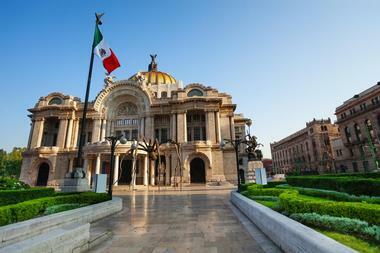 The city has had a long and illustrious history as it has been occupied since pre-Hispanic times. Prehistoric residents have made their mark, and today you can still see interesting remains of this time period. Alongside this exist plenty of evidence of the city's colonial history. The city center has a large number of buildings that are painted a vibrant golden hue, giving the city another nickname as The Yellow City (La Ciudad Amarilla) and making it incredibly photogenic and "Instagrammable." 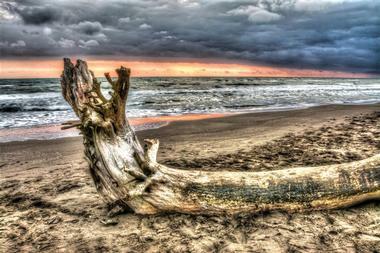 Mazatlan is a resort town along Mexico's Pacific coast in the Mexican state of Sinaloa. The beachfront has a 21 km boardwalk lined with sandy beaches. 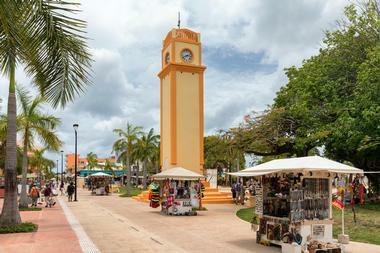 The trendy Zona Dorada is home to many of the resort hotels as well as plenty of opportunities to enjoy nightlife. Big game fishing is a popular pastime in Mazatlan and there are many fishing vessels that are more than willing to take you out and give you a chance at scoring a big catch. The town has a charming historical city center with a number of historical landmarks dating from the 19th century, including the Cathedral Basilica of the Immaculate Conception and the Teatro Angela Peralta. 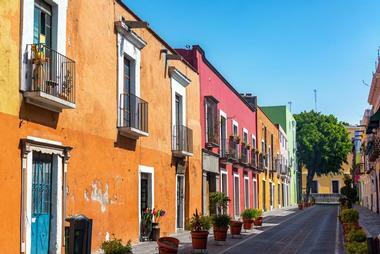 Merida, the capital of Mexico's Yucatan state, has a colorful history with both rich Mayan and colonial influences. 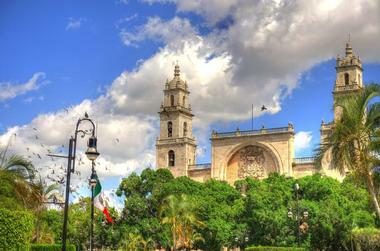 The main centerpiece of the city is the Plaza de la Independence, which is flanked by the Iglesia de la Tercera Orden and the Merida Cathedral, both of which were constructed during colonial times and feature elements of ancient Mayan temples. Other popular attractions include the Mayan World Museum with displays related to Mayan art and history, the city's zoo called the Parque Zoologico del Centenario, and the Palacio Canton, which is a museum with displays related to the area's history and culture. Mexico City is the massive, densely populated capital city of the country. 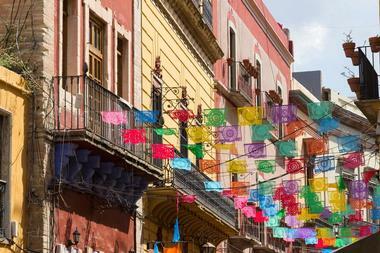 Today, Mexico City is a modern metropolitan area that seems to go for hours in any direction. However, just under the surface of the modern city are vestiges of its historical origins, including the Temple Mayor, which was one of the main temples from the 13th century Aztec settlement of Tenochtitlan. The historical center is a UNESCO World Heritage Site and has a number of other attractions, including an impressive number of museums. Spend your days wandering the Palace of Fine Arts, Chapultepec, and the Museum of Anthropology as well as simply strolling the colorful neighborhoods and indulging in quesadillas, tacos, and chilaquiles. Puebla is a city located in the east-central region of Mexico known for colonial architecture, pottery, and gastronomy. During colonial times, the city was a center of Catholic tradition. In fact, there are some 70 churches and cathedrals in the historic city center alone, with the crown jewel being the impressive Puebla Cathedral. Many of the city's colonial buildings are decorated with painted ceramic tiles known as Talavera tiles, which have made the city famous. Other attractions include the Ex Convent of Santa Rosa, which houses the Museum of Folk Art, the nearby Popocatepetl volcano, the Amparo Museum, and Cabezon Hill. 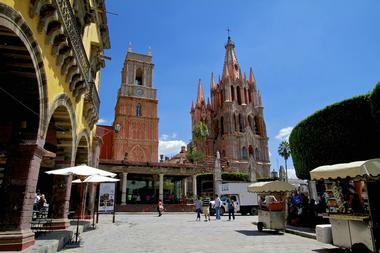 San Miguel de Allende is a city in the central highlands that is known for its stunning examples of colonial architecture. Most prominent are the buildings that were built in the Spanish baroque style. The city's center features cobblestone streets and a beautiful neo-Gothic church with a pink spire shooting skyward. The city has been designated a UNESCO World Heritage Site and is a favorite among art enthusiasts due to its attractive appearance and vibrant art scene. Visiting the artisan market is a must-do. Shopping for handcrafted goods is top notch and items on offer include blown glass, paper mache products, and metal items. Tepoztlan is a town in Mexico located to the south of Mexico City and is most famed as the purported birthplace of the Aztec serpent god, Quetzalcoatl. The Tepozteco pyramid from Aztec times sits on a cliff above the city and can be accessed by a steep trail from town. For another side of the town's history, check out the Tepoztlan Ex-Convent, which is the former site of a 16th century Dominican monastery, today operated as a museum of local history. Make sure you visit during the weekend as the town hosts a craft market that is known around the world. 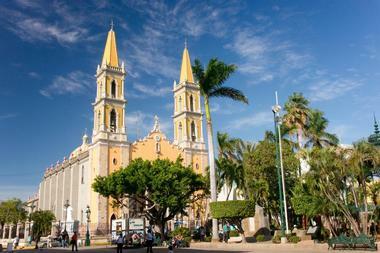 Tequila is a town in the state of Jalisco in western Mexico. The town's major claim to fame comes from its production of the famous spirit of the same name. The popular liquor is sold around the world and one of the main ingredients is blue agave, which can be found growing in fields all around the town, especially in the area near the foot of the Tequila Volcano. 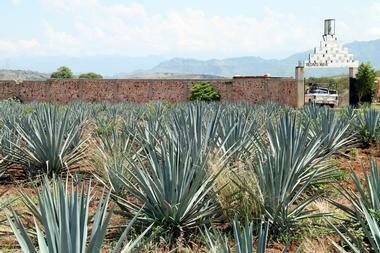 Interested visitors can visit distilleries and haciendas to see the tequila making process in action. There are also several museums with exhibits related to the history and production of the drink, including the Museo Los Abuelos and the Museo Nacional del Tequila. Todos Santos sits on Mexico's Pacific coast on the Baja California Peninsula just north of the popular resort area of Los Cabos. The surrounding area is largely inhabited with farms and there are beautiful beaches as well as the mountains of the Sierra de la Laguna range both ripe for exploring and relaxing. The town is largely known for its art scene and is home to many galleries, including the Profesor Nestor Agundez Martinez Cultural Center. For those looking for a great beach for surfing, you won't be disappointed as the beaches of San Pedrito and Los Cerritos are known for being challenging yet enjoyable surfing destinations. 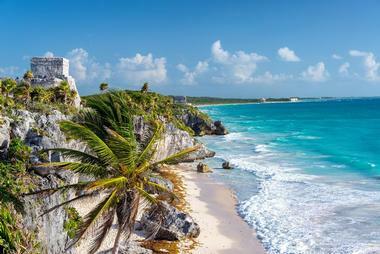 Tulum is a coastal town along Mexico's Yucatan Peninsula on the Caribbean Sea. 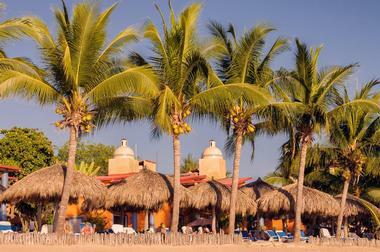 The town is known for its beaches as well as for being the preserved site of an ancient Mayan port town. Many vacationers come to Tulum as it is one of the most convenient sites to see ruins near the popular Caribbean resort towns. The centerpiece of the ruins is El Castillo, which sits on a cliff above the beach. There is also a national park nearby for those who wish to get out and explore nature. The Parque Nacional Tulum features mangrove forests, ruins, limestone rock formations, and natural sinkholes. 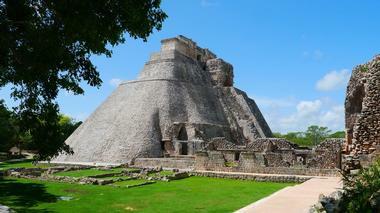 Uxmal is ancient Mayan city in Mexico's Puuc region. It is thought to be one of the most significant archeological treasures remaining from the Mayan period. 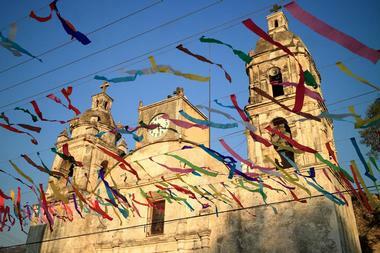 It is popular among tourists due to its relative accessibility to other popular destinations on the Yucatan. It is best known for its wide variety of buildings and carved stone embellishments and an interesting, rounded pyramid known as the Pyramid of the Magician, which looms some 115 feet tall. The site is surrounded by the beautiful Puuc Hills, which is the only hill range on the Yucatan, making it a particularly beautiful site. On the southern side of Mexico City, in what is now a gritty blue-collar neighborhood. 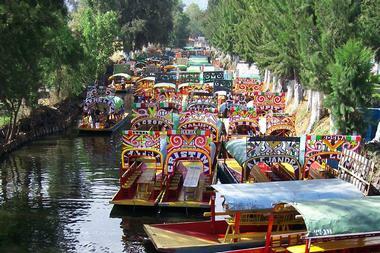 It's possible to see the world-famous canals of Xochimilco. These canals are the last remaining relics of the impressive aqueduct system that was built by the ancient Aztec civilization. Visitors can tour the canals by embarking on a colorful gondola-style boat. During your tour, you are sure to encounter food vendors, mariachi bands, and vendors selling handicrafts, who are all trying to make a buck off the popularity of the canals among tourists. While in the area you can also visit the strange and creepy Island of the Dolls, which is a small island in the canals that is home to hundreds of dolls dedicated to the soul of a young girl who drowned in the canal under mysterious circumstances. 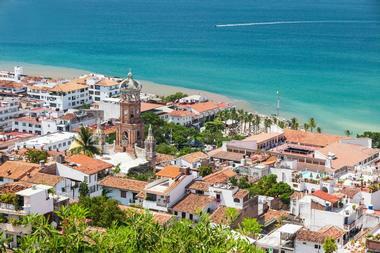 Zihuatanejo is a sleepy fishing village turned resort city just north of Acapulco on Mexico's Pacific coast. The city is best known for its beaches, including the sprawling palm-lined Playa La Ropa and the nearby Playa El Palmar in Ixtapa. Relaxing on the beach, snorkeling, and boat tours are popular activities. Wildlife sightings are common if you venture offshore, and visitors often see sea turtles and dolphins. 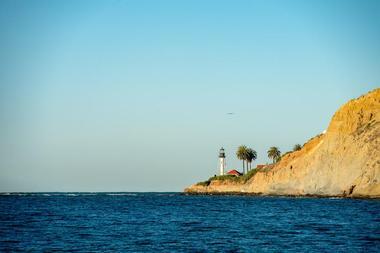 Once you've had your fill of the beach for the day, head into town, where you will find an adorable network of winding streets lined with tasty seafood restaurants, museums, and art galleries.